The brothers Grimm is a gripping film that falls into the genre(s) of both adventure and fantasy. This film was directed by Terry Gilliam, whom also played a role in writing this film along with Ehren Kruger and Tony Grisoni. 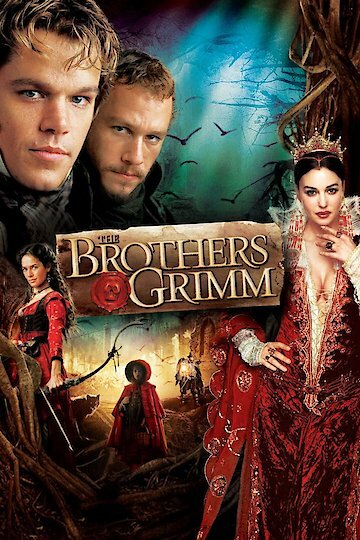 The brothers Grimm was produced by Daniel Bobker and Charles Riven and starred many outstanding actors and actresses such as Matt Damon, Heath Ledger, Peter Stormare, Lena Headey, and Jonathan Pryce. This film is mainly focused on two brothers Wilhelm and Jakob Grimm, taking place during the 18th century, in the French occupied Germany. These two brothers are Con Artists who travel.through various towns setting up fairy tale nightmares, that lead the towns people to believe they are real. In return, the towns people hire them to make the fairy tale creatures to go away. Then one day, the two brothers go to Karlstadt to rid the town of a witches ghost that they set up there. Unfortunately for the brothers their trickery has been found out. While celebrating the killing of the ghost witch, the two brothers are taken from town by Calvaldi and Italian torturer, to the French General Delmatombe. The French General than forces the two brothers to solve a mystery in Merbaden where several little girls have gone missing from their town. If they don't then they will face punishment for their tricks and lies. They brothers agree and set their sights on finding out who is behind such an elaborate scam. Later the brothers find that it a real super natural force behind it: a witch queen stealing youth from young girls to regain her own beauty. This film shows all the twists and turns that these two brothers must face when true fairy tales come to life. They bear many trials and tribulations in search for the witches tower and finding these missing children. Little do they know, it will be a lot harder than they anticipated. The Brothers Grimm is currently available to watch and stream, buy on demand at Vudu, Google Play, FandangoNow, iTunes, YouTube VOD online.